On top of night skiing, snowcat skiing, a massive terrain park, beginner slopes and backcountry bowls to please the powder hounds, Keystone compliments the mountain with a village atmosphere of fantastic shops, restaurants and lodging. 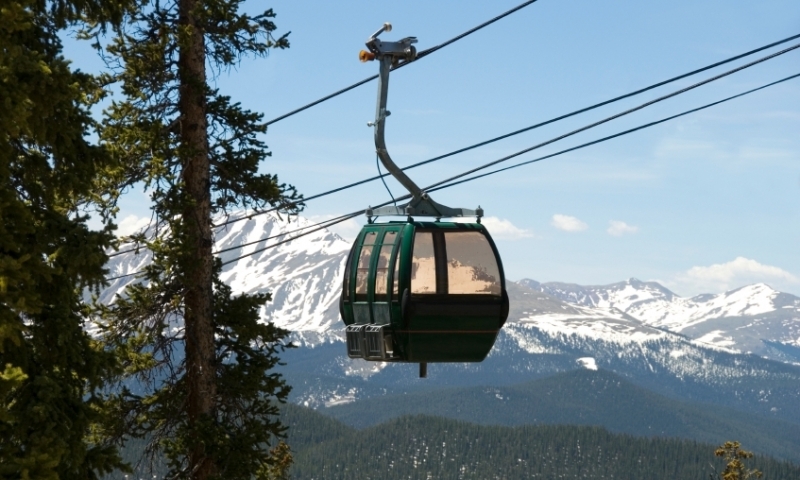 More than just a mountain, Keystone Resort covers 3,148 acres of terrain, reaching an altitude of 12,408 feet. With 20 lifts servicing 135 trails and an average snowfall of 230 inches, there are no problems with snow coverage or finding new terrain to explore. Night skiing is a hallmark of Keystone Ski Resort, allowing lighted access to the A51 terrain, River Run Gondola and other lifts on Dercum Mountain well into the evening hours. River Run Village is a beehive of activity both summer and winter, with live music and bustlingly shops, restaurants and cafés for some evening entertainment. 80 miles west of the Denver Airport and 65 miles east of Eagle County Airport, Keystone Resort is located in central Colorado off I-70. From the interstate highway, take exit 205 to Highway 6. Keystone is a short 6 miles south. There are multiple shuttle companies that will provide transport between airports and the mountains, as well as between the mountain resorts and the surrounding towns. In addition, bus service is available throughout Summit County on the Summit Stage, a free service running through the county from 6:00am to 1:30am. Keystone Ski Resort Colorado opens in early November and stays open through mid April, depending on the weather. Night skiing is open from early January to late March. Lift service starts at 8:30am and runs until 4pm. However, the bowls close early at 1:30pm, followed by the Windows at 2:00pm and the Outback and North Peak closing at 3:00pm and 3:30pm respectively. During the season, night skiing is open until 8pm from Wednesday to Saturday, and 6pm on Sundays. The A51 Terrain Park closes at 6pm. With so many activities and options for visitors, there's no wondering why it's so popular. On the mountain, there's skiing, snowboarding, snowcat access, the A51 terrain park, night skiing and more, including top-notch ski school and childcare services. There are three bases to the mountain, River Run, Mountain House and Lakeside Village. Between the three, visitors have the choice of ice skating, snowshoeing, snow tubing, snowmobiling, scenic gondola rides and sleigh rides, as well as equipment rental and tuning shops. Spa facilities, shops, restaurants, lodging and more are all waiting to keep you busy when you're resting your legs off the mountain.